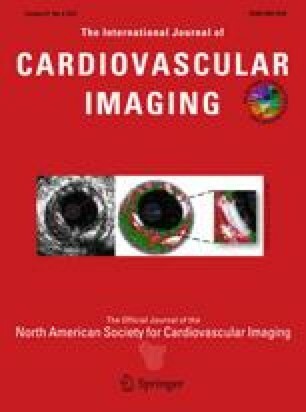 It has been proposed that the increasing use of coronary computed tomographic angiography (CTA) may introduce additional unnecessary diagnostic procedures. However, no previous study has assessed the impact on downstream test utilization of conventional diagnostic testing relative to CTA in patients suspected of angina. The purpose of this study was to investigate the consequences of frontline exercise-stress testing (Ex-test) versus CTA on downstream test utilization in clinical practice. In two collaborating departments using either Ex-test (n = 247) or CTA (n = 251) as the frontline diagnostic test in patients suspected of angina, comparable cohorts of consecutive patients were retrospectively identified (Jan. 2007–Feb. 2008). Downstream test utilization (invasive coronary angiography, ICA; myocardial perfusion scintigraphy, and CTA) during 12 months after the index diagnostic test was recorded. Mean age was 56 years (51% men), and 96% of the total study cohort were at low-intermediate pretest risk of significant coronary disease. Overall, downstream test utilization was more frequent in the Ex-test group than in the CTA group, 32% versus 21% (P = 0.003). Subsequent myocardial scintigraphy was more frequent used (9% versus 4%, P = 0.03), whereas ICA tended to be more frequent applied in the Ex-test versus CTA group (23% vs. 18%, P = 0.15). A frontline diagnostic use in symptomatic patients of Ex-test in comparison to CTA leads to more downstream diagnostic test utilization. Future prospective trials are needed in order to define the most cost-effective diagnostic use of CTA relative to conventional ischemia testing.